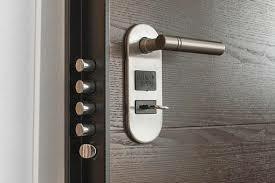 The need to change and upgrade your locks for the front door is not something that happens often. It’s highly important to make sure that you pick a door that keeps you safe and secure in every situation. And that you get the right professional installation needed. Much of the security that a front door lock provides. Comes from the correct installation. Speak to us today if you need a trained and skilled professional to come and help with your high security door installation. The most common types of high security door material is either wood, UPVC or metal. Contrary to common belief the security of a metal door doesn’t always exceed the security of the other material varieties. Depending on make, model, provider and many other things different security door materials and models differ widely. The right security door pick for you is one that is suitable to your situation, your needs and of course to the style and feature preferences that you have. Wooden doors are the most versatile when it comes to design. Whilst a UPVC variety may be the cheapest alternative. Speak to us about your high security door installation as soon as today to find out more. To better find a path of security and a door material choice that suits your style and your preferences. If you are contemplating installing your new security door yourself. You are of course free to do so. However our skilled and experienced technician highly advise against it. Though wrongful installation many security features can be invalidated, not to mention your home insurance policy might be put at stake. 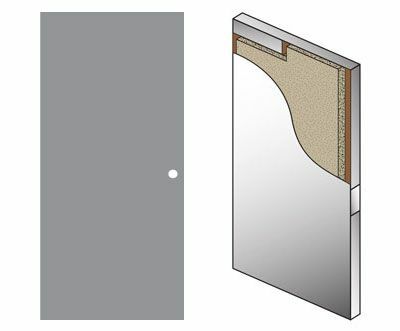 Will I need professional installation for my door? There are only a range of great reasons to get the professional assistance you need with your door installation at home. No matter what door material you choose. If you are unsure of what to pick, speaking to a local professional on the topic is your best bet. Throughout the years, the wonderful and trained crew at our service have been helping homes with their security door picks and installations so that the customer have no need to worry. Professional door installation for your security door will make sure that you get the level of security that the choice of material and model promises. It will make sure that no security regulations or rules are broken. Especially important to keep in line with insurance policies and of course to ensure maximum security for all the security products you choose to have instated. By avoiding to do it yourself, you also avoid the common mishaps of DIY door installation projects. Where security is both compromised, and worse, often without it being spotted until it is too late. There may be temptation to get the cheaper price by ordering your door and putting it up yourself. After all you have quite some handyman experience in your own home. However. Resist the temptation. Our professional installers have seen many situations where businesses or homes have come out with the short end of the stick and a raw deal due to such a decision. Speak to us or your professional door and lock specialist today. High security door installations of all materials and models are available and ready to be put in place at your convenience. And without any of the attached risks of doing it yourself. Although you might save a penny, have a second thought of what is at stake before choosing to do work for yourself.